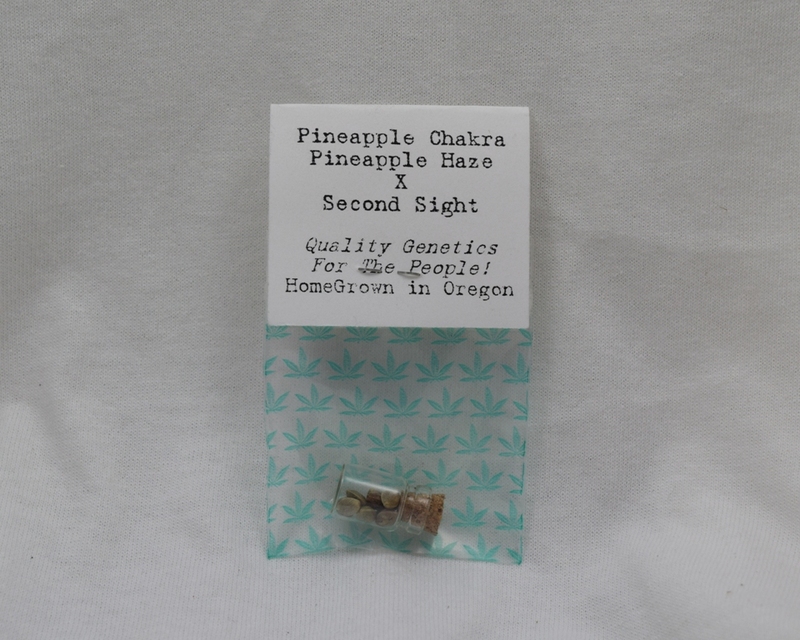 Our Pineapple Express cultivar was open pollinated by four nice Second Sight (Tree of Life X Third Eye) male plants to create the Pineapple Express X Second Sight. Pineapple Express X Second Sight seeds will grow fairly homogeneously, displaying a Indica Hybrid growth structure. Outdoors the Pineapple Express X Second Sight will fully ripen by the third week of September. Genotype Lineage: Pineapple Express mother crossed with a Second Sight father. The Pineapple Express is a Pineapple Express X Plum Haze cross and the Second Sight is a Tree of Life mother crossed with a Third Eye (from West Coast Masters) father. 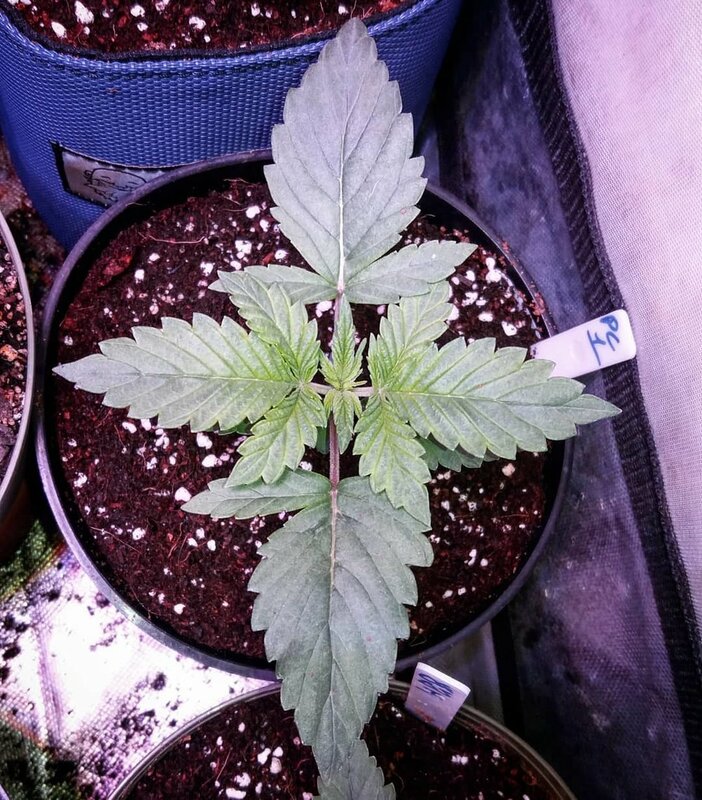 The Third Eye is a Headband mother crossed with a Jack The Ripper (from TGA Seeds) father.